Police capture Arab sexually assaulting religious Jewish girl in northern Jerusalem neighborhood. 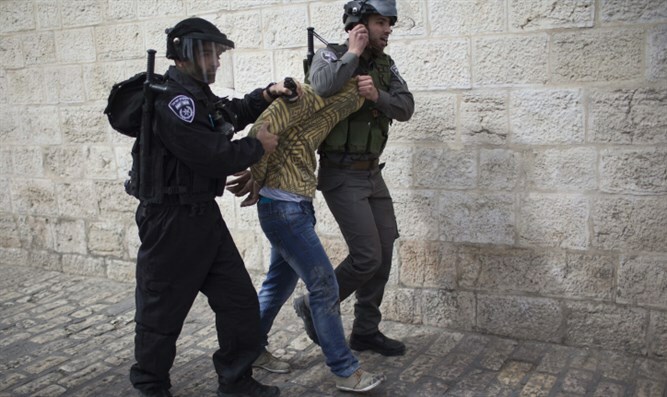 Jerusalem police arrested a 13-year old resident from the Arab neighborhood of Issawiya in the capital on Thursday, after the suspect was caught in the act of sexually assaulting a girl in the nearby French Hill neighborhood. The suspect was nabbed while committing sexual acts on a Jewish school girl just outside of a religious school’s campus in French Hill. Police had set up watch outside of the school on Thursday, following a complaint of a similar attack by an Arab youth against a female student. In Wednesday’s attack, the suspect reportedly assaulted the girl after she exited the campus, then fled. According to a statement released by a police spokesperson, the suspect tied himself to Wednesday’s assault during interrogation. The suspect was transferred to the Shalem police station and his parents called in as part of the investigation.